The best thing I've sewn myself this year (and well, also the only - stage costumes don't count -altough the wish list is long and fabric pile high!) 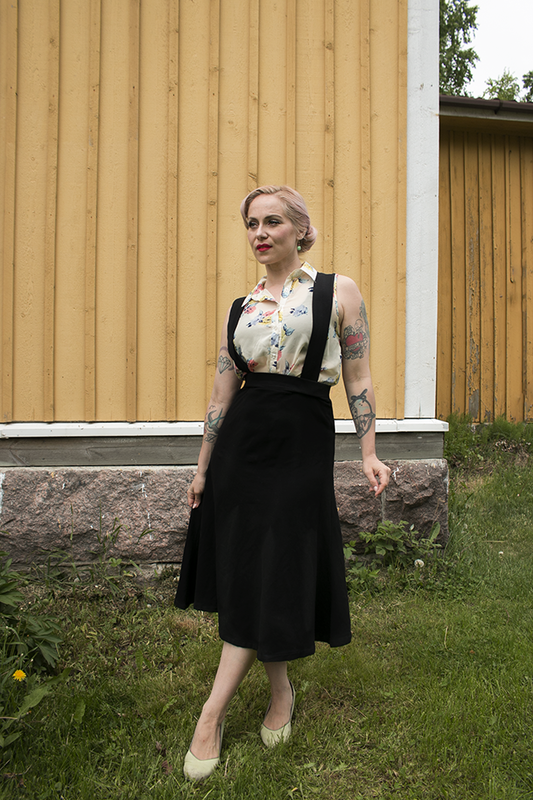 was the black suspender skirt; the one I replicated from a skirt I previously had. Blackl anbd comfy and stretchy, the only thing missing would be pockets but sometimes you know, you just have to go without (sigh). It is very easy to wear with anything and goes with most shoes, easy to pull on and off when going to and from the studio and I've also had it with me on all my travels. If I could only ever pack one thing with me anywhere it would be this. Well, and a top too, obviously. Hehe.